Mobile phones are a vital tool in our society. They usually aren’t just phones either, they are incredibly powerful computers that can be used to browse the web, create content, play video games and connect with others through social media. However sometimes they can cause problems for employers. If an employee is given a mobile phone as a work phone, should they be allowed to use it personally? Or, if an employee owns their own mobile phone, how can an employer control the amount of time an employee spends scrolling through messages and their social media accounts whilst at work? Why should we have a Mobile Phone Policy? There are lots of reasons why businesses should have a mobile phone policy. Firstly, to make it clear to employees that their employer will not pay for mobile phone bills that have been racked up due to personal use of the phone. Secondly, employers may want to create rules around phone use to limit the potential for misuse of confidential information. Thirdly, there are lots of legal and financial risks to an employer if their employee is inappropriately or unlawfully using their phone while driving. Finally, there is a risk that the employer could be liable for the actions of their employees if the employee is using a mobile phone at work to bully, harass or discriminate against someone. This is starting to sound like a legal minefield, right? There is no need to be alarmed. However if you are concerned about the way your employees are using their mobile phones at work, you should consider implementing a mobile phone policy. What should be in a Mobile Phone Policy? Acceptable and unacceptable usage of mobile phones – Think about whether employees should be allowed to take any personal calls or texts and whether they should be able to use other functions on their phone such as listening to music, sending emails or accessing social media. Are they allowed to take short breaks to access their phone? Think about what would work practically, balancing the needs of the business with the practical realities of employee needs, such as the need to be contactable by family members. Explain workplace mobile phone etiquette – Should the employee’s phone be on silent, or on vibrate mode? Are there designated places that employees should go to take calls? How phones should be used to protect confidential work information – It is common for confidential work information to be sent or stored on mobile phones. What steps should employees be taking to ensure that this information isn’t misused or accessed by the wrong people? Should employees be asked to have passcode (or fingerprint) protection on their phone? Should employees be asked to have tracking functions on their phone in case it is lost or stolen? Compliance with the law – Employees should understand that it is unacceptable and unlawful to bully, harass or discriminate against someone, including through their mobile phone such as by calling, texting or using social media. This aspect of the mobile phone policy can complement a broader policy against bullying, harassment and discrimination in the workplace.Another aspect of the law to consider is the use of mobile phones while driving. If employees regularly drive as part of their job, employers should consider providing them with a hands-free car kit for their phone. The mobile phone policy should be clear about what usage of the phone while driving is acceptable or unacceptable. Maybe an employer does not want their employee taking any calls while driving, however they should also notify their employee if alternate use of the phone, such as using it as a music player, is acceptable or not. Acceptable and unacceptable use of mobile phones owned and paid for by the business – Employees should know whether they are allowed to use their business phone for personal communication. If they are allowed to use the phone for personal communication, is there a limit? For example, will an employee be liable for data and call charges above a certain amount? Consequences for breaching the policy – It is important that employees understand what the processes and consequences will be if they breach the mobile phone policy. 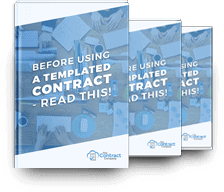 HR policies don’t have to be a headache with help from The Contract Company. We are experts in legal contracts – contact us today.